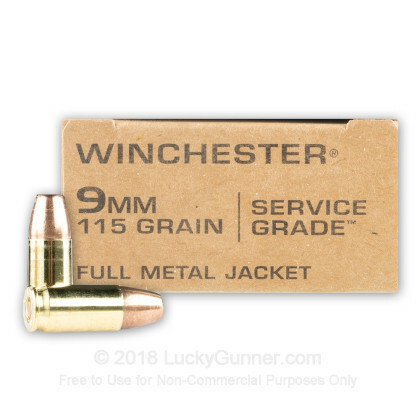 Winchester’s Service Grade line of ammunition is intended for competitive and recreational shooting. 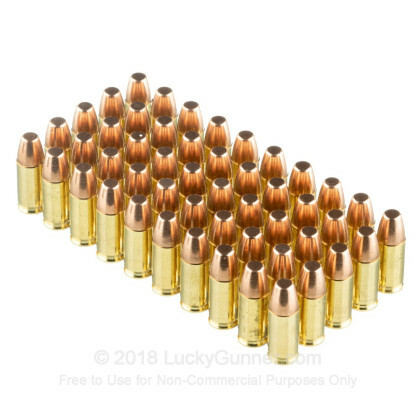 With this 9mm Luger cartridge’s 115 grain flat nose bullet, you’ll be able to punch crisp, obvious holes in paper targets that are easily visible downrange, so you’ll have no trouble keeping score in a competitive match or getting helpful and immediate feedback on your performance. 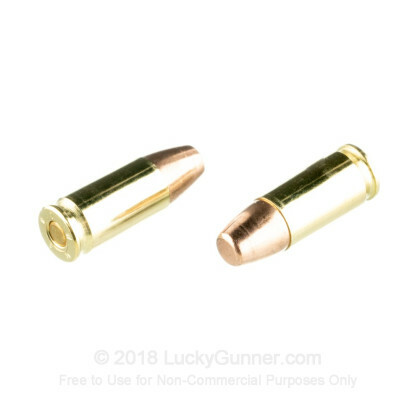 The bullet also sports a full metal jacket, so you can fire this cartridge at significantly longer intervals before having to clean the lead residue from your pistol’s bore. 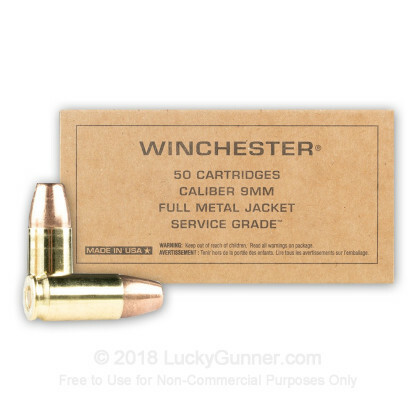 This cartridge also offers a non-corrosive Boxer primed brass casing. 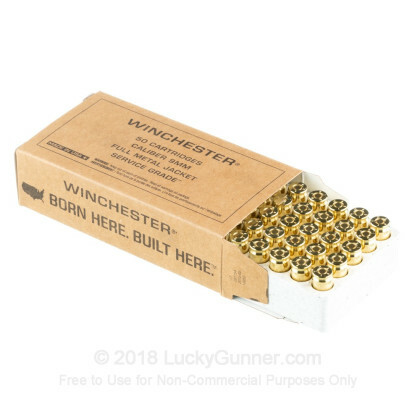 Brass not only offers a long shelf life because it doesn’t rust, but is of course fully reloadable -- with an order of 1,000 of these cartridges you’ll be able to confidently store them and keep reviving them for use on the range again and again. Q: Is the bullet and or primer sealed? A: This cartridge does not have a sealed bullet or primer. 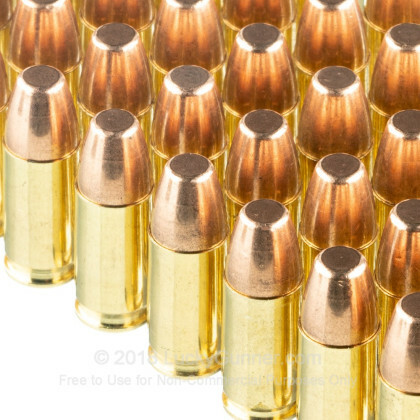 We also have this 9mm - 115 Grain FMJ - Winchester Service Grade - 500 Rounds ammo in stock in a smaller quantity.